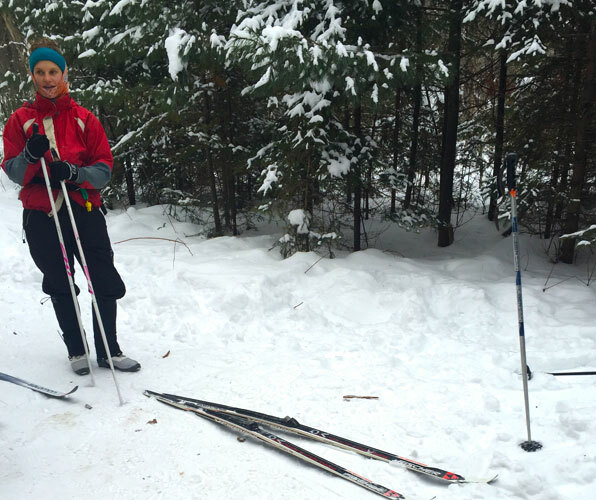 During the cold weekends of winter, you’ll most likely find me cross-country skiing in Ontario, happily gliding my way through the countryside. Cross-country skiing is what I consider a winter version of hiking. Obviously the activity is different, but either way, you’re traversing a narrow path through stillness under a blue sky through a forest of pine. If you’ve never skied before, inquire about lessons: a single class will give you some basics that will help you to avoid frustration, learn how to fall and get up, and navigate down hill without getting your pants wet. And even if you have skied before, inquire about “ski better” clinics: a mere hour or two can provide you with some useful tips on things you may need to unlearn — from positioning of your poles, to how you’re balancing your weight to techniques for going down hill. Or maybe you’ve always done classic skiing, but want to try skate skiing, which is its more difficult counterpart. Here’s a round up of some top cross-country ski facilities in Ontario within an hour and 15-minute drive from Toronto. Voted best cross-country ski facility in Eastern Canada six years in a row by Get Out There Magazine, Hardwood Ski and Bike has much to recommend it. Their eight trail loops range from three to 22 kilometres, with a diversity of trails dedicated to different levels of skiers – from gently rolling hills for beginners to steep one for the elite skier. All their trails are expertly groomed daily, weather permitting, for both classic and skate skiing. From Monday to Friday, 2 km of trails are lit up until 8 pm and headlamps can be used on select trails. 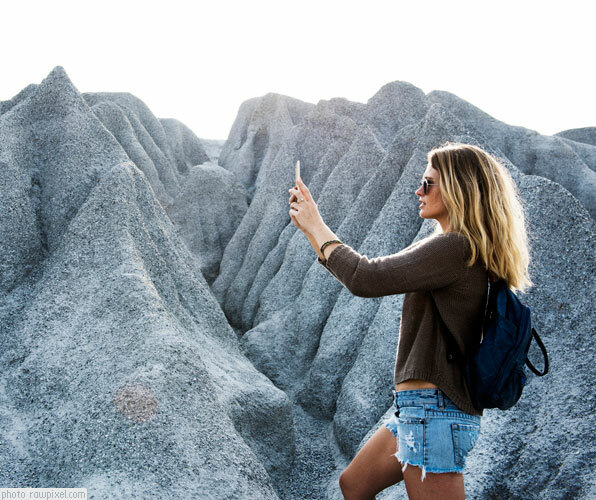 Located only an hour’s drive from the bottom of the 400, most visitors come for the day, but if you do opt to stay overnight, check the nearby Carriage Ridge or accommodations in Barrie or Orillia. Instructor Richard Pepplar describes this place aptly when he refers to it as homey, quiet and without bling. This place is s-weet. About an hour and 20-minute drive from Toronto, Mansfield Outdoor Centre (not to be confused with the private Mansfield Ski Club nearby), has 42 kms of trails, including 20 kms of trails dedicated to skate skiing. 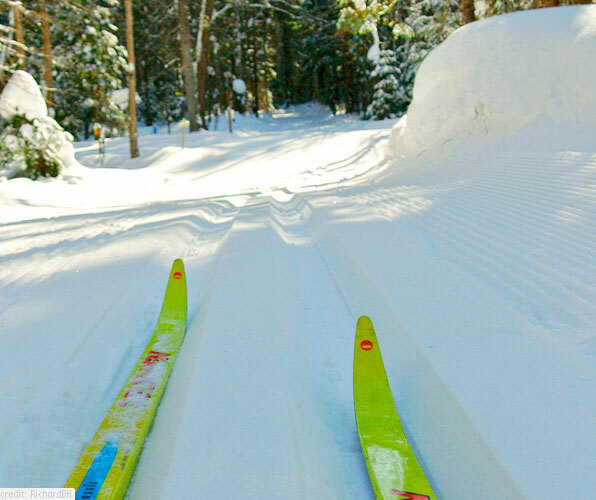 Classic ski trails are only 12 feet wide, so you really feel like you’re in the woods. And their rustic lodge, built c. 1907, is a great place to warm up with a hot chocolate by the fire. Stop into the barn on property to get set up with ski rentals. And if you’re making a day of it, consider stopping in at the charming Globe Restaurant, built in 1859, in nearby Rosemont for an afternoon tea with delicious homemade soups and scones. Or have a meal and a drink at the Mono Cliffs Inn: their scotch selection in the pub downstairs is not to be rivalled. Just over an hour from Toronto, and 20 minutes north of Barrie, Horseshoe Resort is a great place to ski for a day, or to stay over in one of their rooms, suites or condos on property. Their 40 km of overlapping trails through the Copeland Forest range from beginner to expert, with the latter – some as long as 13 km – some of the most difficult in southern Ontario. The advanced trail we took had us climbing up a steep hill called Guenther’s Grind (which I redubbed “Grunters’ Grind”), but we were soon rewarded with some beautiful down hill. At lunch, you can enjoy homemade soups and paninis in the cafeteria upstairs. Although the cafeteria was packed with like-minded skiers on break when we were there, with so many trails, we were often alone or almost completely alone once back on the slopes. Check their website for dates of their monthly moonlight skis, which take place from 6 to 10:00 p.m. Six kilometres of trails are lit up by lanterns, and skiers can warm up with hot chocolate and cider at a firepit behind the chalet, while the kids roast marshmallows. Dress warmly, bring headlamps if you are unfamiliar with the trails, and enjoy. This is a magical event. And if you want to avoid the drive back home after, hotel rooms and condos are available on site. Also available in winter – snowshoeing, snow tubing, downhill skiing and snowboarding. 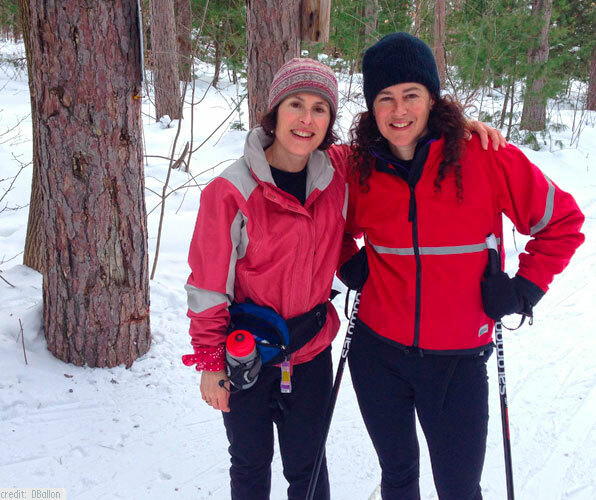 “A winter mecca for snow (and ice) sport and activity” is how sports enthusiast and naturopath Lowell Greib describe Arrowhead Provincial Park near Huntsville – a 2.5 hour drive from Toronto. Here you can combine a day’s skiing (with 28 kms of classic trails, 16 kms of skate ski trails) with a skate on a magical 1.3 km ice trail that loops through the woods. Arrowhead also has snowshoeing trails and free tubing with your vehicle pass. (They supply the tubes.) Three warm-up shelters are located on site. If you’re coming from Toronto or further afield, accommodations abound – in everything from the nearby Deerhurst Resort and Holiday Inn, to motels, cottages and bed and breakfasts. If you want to bring your dog, check out this listing for pet-friendly accommodations. (www.discovermuskoka.ca/pet-friendly-winter). And if you want to try out skijoring (that’s skiing with your dog), this is available on certain specially designated dog-friendly trails on Sundays from 1:00 to 4:00 p.m. until mid-March. Ask park staff for details.